Our Nutraceutical customers love us. 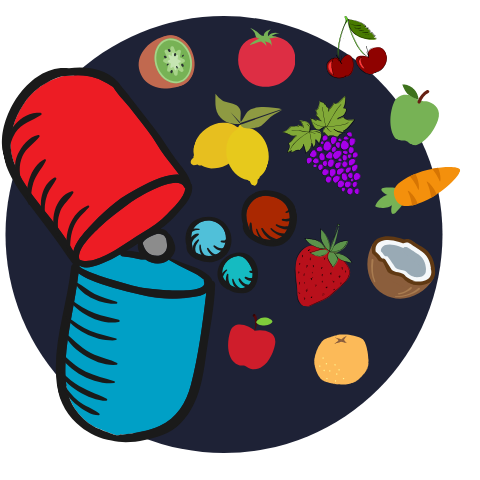 The FDA has a long list of strict regulations that benefit the production of nutraceuticals. These regulations have been put into place to ensure that consumers are receiving products that have been accurately labeled, manufactured, and are unaltered. All Nutraceutical products, which are GMP-certified, must be audited by a Third Party Labeling Auditor using a set of rules concerning labeling restrictions and regulations. When these rules are not followed, recalls are enforced, especially when mislabeling is involved. In fact, mislabeling has become the number one cause for recalls within the industry. Intellect can help enable your organization to effectively comply with FSVP, and other industry standards and regulations. Intellect offers a comprehensive and highly configurable eQMS solution for Nutraceutical, Dietary Supplement and Vitamin organizations. Nutraceutical, Dietary Supplement and Vitamin companies must use the appropriate documentation that adheres to the standards provided by the Food and Drug Administration’s (FDA) guidelines. Intellect offers a highly flexible software solution for the automation of the design process for all Nutraceutical, Dietary Supplement and Vitamin manufacturers. Nutraceutical, Dietary Supplement and Vitamin manufacturers must practice certain regulatory measures, which safeguard their products, making them user safe. ISO 15378:2017 is an international compliance standard that focuses on the packaging materials that are associated with medicinal products. Intellect offers a highly configurable eQMS software solution that makes it easy to comply with all ISO standards for all Nutraceutical, Dietary Supplement and Vitamin manufacturers. GDL regulations ensure the safety, integrity, and quality of Nutraceutical, Dietary Supplement and Vitamin research laboratories and organizations. ISO 17025:2017 is an international compliance standard that states the general requirements for the competence and consistent operation of testing and calibration laboratories. With Intellect, compliance becomes easy because we offer a highly configurable software solution that makes it easy to satisfy all ISO standards and regulations for all Nutraceutical, Dietary Supplement and Vitamin laboratories. Our customer Maypro struggled with any change within their company and, as a result, compliance was always at risk. For example, Maypro often needed to update a label for a dietary supplement because of a new ingredient or regulation, and it was difficult to ensure that only the latest and correct label was being used. Maypro needed a flexible eQMS solution to match their business and industry specific needs. Maypro is using Intellect eQMS Change Management out-of-the-box with an additional activity to track any label change, which then triggers an update for any related documents within the Doc Control app. These new configurations enabled Maypro to become compliant.